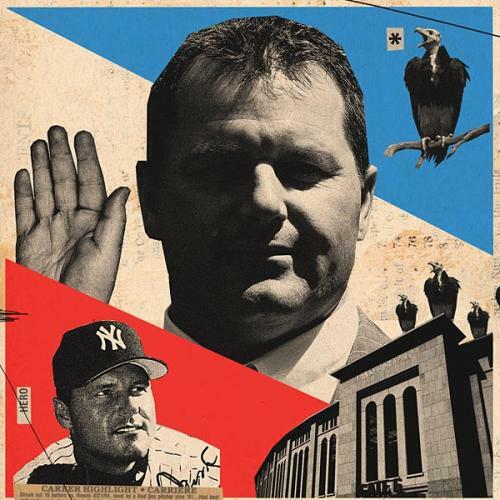 Partisan politics and the trial of Roger Clemens. The start to the Roger Clemens trial last week was a sleepy affair. Clemens is charged with lying to Congress during a 2008 hearing on steroids, when he testified that he had never used performance-enhancing drugs in his storied pitching career. He faces up to 30 years in prison if he is convicted on all counts. But, despite the high stakes and some melodramatic rhetoric from the lead prosecutor—who built his opening statement around a quote from Sir Walter Scott’s epic poem Marmion—the courtroom lacked much buzz. At one pre-trial deliberation, I had several pews to myself. During jury selection, Clemens’s wife, Debbie, worked on her needlepoint butterfly. Potential jurors didn’t seem much more excited. The week before, one art historian had told the court that congressional hearings on steroids were a waste of time. She was chosen for the jury anyway. But, if there seemed to be little public excitement surrounding the trial, passions were still running high last week among some of the congressmen who had been part of the 2008 hearings. Perhaps that’s because many of them are truly zealous about baseball. But it may also be because Clemens and his alleged steroid use long ago became yet another partisan fault line. IN 2005, the House of Representatives held its first hearing on steroids in baseball. A group of beefy stars—Mark McGwire, Rafael Palmeiro, Curt Schilling, Sammy Sosa—put on suits and shuffled in to appear before the House Committee on Government Reform. Some denied everything; others were awkwardly evasive. In 2008, following the publication of a report authored by former Senator George Mitchell that included damning allegations by Clemens’s ex-trainer, the pitcher was called to testify. Under oath, Clemens denied using steroids, an assertion that most observers doubted. A couple of weeks later, Democratic Committee Chair Henry Waxman asked the Justice Department to investigate Clemens for perjury. Davis, the ranking Republican, acquiesced but also drafted a 109-page defense of Clemens. Last July, Clemens was tried for perjury and obstruction of justice; the case ended in a mistrial two days after it began, when the prosecution introduced evidence that the judge had deemed impermissible. While the Justice Department pressed on, Republican members of the House begged for mercy. “He’s lost his money. He’s probably lost his chance at the Hall,” Davis told reporters last year. “I think he’s suffered enough.” “I don’t believe that his false testimony when he gave it was anything other than Henry Waxman trapping him,” California Republican Darrell Issa, currently head of the government reform committee, told The Hill. The left-right split on Clemens continues today. Republicans who served on the committee maintain that the 2008 hearings were just an opportunity for Democrats to grandstand. “The Democrats were looking for whatever partisan advantage they could gain,” former Representative Chris Cannon, a Utah Republican, told me. “As to Roger Clemens himself, I hope the guy finds peace in life. And that whatever happens here works for his benefit somehow.” Former Representative Christopher Shays, a Connecticut Republican, called the whole thing sad. Clemens “probably would have won most of [his awards] without the drugs,” he said. Simon van Zuylen-Wood is a reporter-researcher at The New Republic. This article appeared in the May 24, 2012 issue of the magazine.